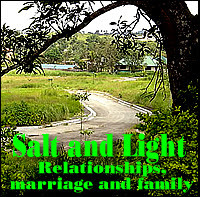 We don't have a divorce law in the Philippines, but the Family Code provides for its equivalents as I mentioned above. Over the years, pastors have asked me on what to do with their members who, before they were converted to Christ, were married to persons other than their current partners. My own views are similar to Chuck Swindoll's discussion of divorce and remarriage in his book "Strike the Original Match." It might interest you to know that according to the DSWD, 40% of couples in the CALABARZON (Cavite, Laguna, Batangas, Rizal and Quezon) are merely living in. That's about 90,000 couples. The weblog is a vital tool for Baptist pastors and missionaries, enabling you to have a presence on the Internet. 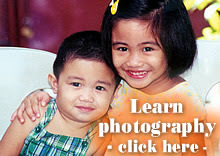 Instead of a website where you will be totally dependent on the guys who know the technical HTML stuff, you can use the weblog to post articles (sermons, Sunday school lessons, devotionals, profiles of the staff and members, etc), schedules of activities and special programs, and pictures of church events.Through a weblog, Filipino missionaries to local and foreign fields can keep their supporting churches informed about their activities, schedules of deputation, needs and prayer requests. If you are interested in using the weblog, whether you are a pastor, missionary or group leader in your church, I can help you for free in three ways. One, I can show you how to put up a weblog (although as I said, learning how to put up a weblog is easy when you know any word processing program). Two, I can conduct a seminar for you or your church staff on writing news, features, editorials, and photography. Three, you may be a Filipino missionary to a foreign field interested in putting up a weblog, but you’re not that proficient in written English. You can e-mail me your articles (“post” or “posting” in the weblog language) first. I will then edit your posts and send them back to you by e-mail. You can then post these edited articles into your weblog. I also give free lecture-seminars to churches, schools, barangays and other organizations on the following topics: (1) Essential Provisions of the Family Code; (2) RA 9262 Anti-Violence Against Women and Their Children Act of 2004; (3) Procedures in Administrative Cases Against Teachers; and (4) Photojournalism for grade schools and high schools, and youth groups. Any group which wants to hold these seminars can just contact me at gtgalacio@yahoo.com for available schedules. Churches may hold these seminars as part of their outreach to their communities. Last summer, I had the privilege of lecturing on Republic Act 9262 in places like Laguna (Kalayaan, Lumban, Victoria, Alaminos), Batangas (Sto. Tomas) and Cavite City. The hardworking municipal and city SWDOs coordinated these seminars. Previously, I conducted two RA 9262 seminars for the DSWD Region IV-A social workers held at the Haven for Abused Women, and at Max’s Restaurant in Ayala Alabang Town Center. This coming November 24, I have been invited through Ptr. Vincent Santos Diaz, to give a legal lecture as part of the symposium of the Baptist Missions Partners (BMP), an organization under the leadership of Missionary-Pastor Edwin Tan. The conference will be held in La Vista Resort in Pansol, Laguna.